Made from red algae, this jelly-like dessert is exploding with flavor. Agar is dissolved in water to make the perfect consistency for the jelly. To give it a unique touch, it is paired with seaweed. This colorful dish is a must have on your trip to Japan. For all spicy food lovers, curry is very common in Japan and is a type of sauce used on top of a blend of vegetables and meat or seafood. It is highly recommended to use rice as a side dish, for the best balance of flavor. Soba refers to thin buckwheat flour noodles and there are a wide variety of other foods you can combine with it. It can be used as a main ingredient or a side dish. It has such a simple flavor which gives you the opportunity to add various sauces and spices to it, to add whatever flavor you’d like. They are most commonly used in soups and broths. This delicious dessert is eaten year round, yet the brand of dango you’ll enjoy depends on the season. These sweet dumplings are one of the most beloved desserts in Japan and sure to be a favorite treat throughout your trip. FIlled with seeds, nuts or sweet beans, Peanut Mochi are small rice patties resembling tiny white balls of fluff. They get their name from Mochigome, a strain of rice used by some chefs to lightly pound the rice to make dough, while others mix water with the rice flour (mochiko). The filling is similar to a jelly mix. This dish is most popular in the summertime. In this dish, beef is sliced thin and mixed with various vegetables and herbs. It is then cooked with sake and soy sauce to create a tasteful broth. The strength of the beef and sugary flavor create one of the best “hot pots” in Japanese culture. Miso soup is one of the most traditional Japanese soups on the market. It is most commonly served before a main course or entree. Wakame, a type of seaweed, is diced and sprinkled lightly into the soup along with Tofu or other kinds of greens. Some like to create their own taste by adding clams and various types of noodles. With a satisfying amount of saltiness, it leaves you coming back for more. American and Japanese pancakes are both made with flour and eggs. But what makes Japanese pancakes - or as they call them, Japanese Pizza - so unique is the diced greens and meat they are topped with. This dish is open to originality, so its creator can use any condiments and fillings. This dish is absolutely one of the best foods to try in Japan. Also known as “Uni”, sea urchin is a popular seasonal delicacy in Japan and the Japanese are their largest consumers in the world. They are a very popular ingredient to use in sushi and rice bowls. Thousands of kinds of sea urchins thrive in all oceans of the earth, giving us the opportunity to create some of the most unique dishes in the world. 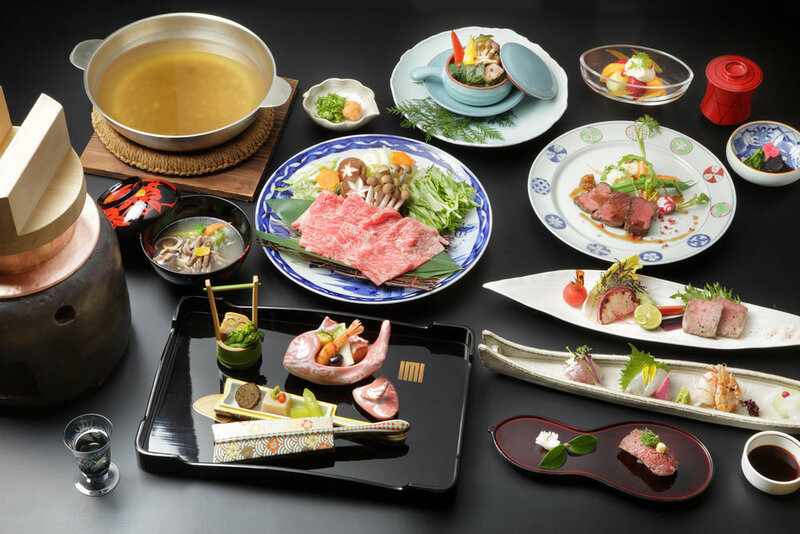 This traditional Japanese meal is one of the easiest, yet most mouth watering, dishes you could consume during your stay in Japan. 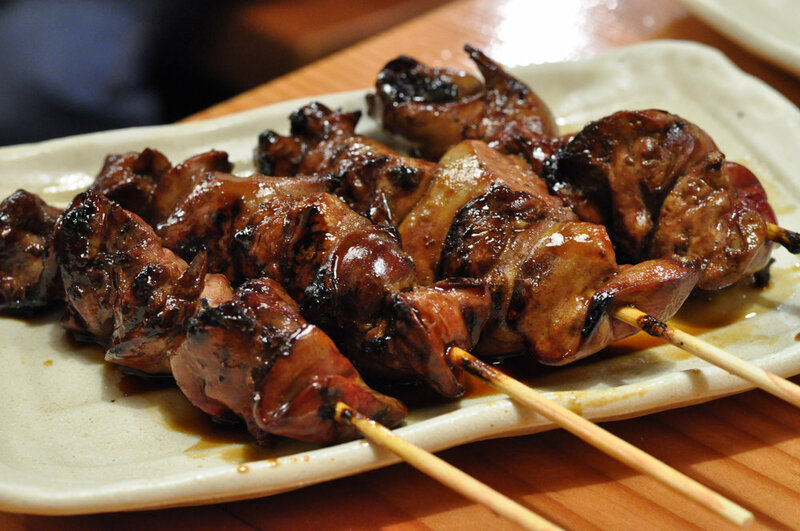 It is simply skewered chicken on bamboo, heated over a charcoal grill. What makes this choice so tasteful is the ginger, garlic and soy sauce glazed. Thankfully, they are popular year round.